Are you commenting live or a day later this season? I don’t have live TV right now, so it’s going to be tomorrow night, as it was last season, when I get the episode on Amazon. It’ll be live for me, though, as I’ll react as I go along. I found it a bit of a stretch that someone who claimed to be a major badass who rode with GK would be defeated so easily. Even if it was Sam Winchester. So was Kip really just a blow hard overselling his resume? I have no doubt that entire outcome would have been totally different had Dean been in charge. What did Sam really accomplish other than rescuing Cas and getting his ego stroked. I also don’t understand all these people stating that Sam is now the unofficial King of Hell. Did I overlook an unofficial coronation? Strictly speaking, since Dean killed the true King of Hell, Lucifer, he ought to be the new King. But it never works that way. Michael does seem to determined to replace God–and he’s just about powerful enough to do it, unlike his brothers. The problem here is that in the real world lore, Michael not only is actually the angel most like God (that’s literally what his name means), but he’s also the one most empathetic to humans and their concerns. The show could go someplace cool with this in having Dean and Michael timeshare (Michael brings the God-like aspect, Dean the human badassery), but I’m not sure Dabb’s up to that, either. Spoilers are indicating that Dean will be “back” sooner than later, but that doesn’t really explain how Michael will be the season-long Big Bad he’s being set up to be. Isn’t it supposed to be Dean having a hard time dealing with what Michael has done while he was riding shotgun as well as flashbacks that show exactly what Michael had been up to? I’ve seen it written that Dean will be back by the fourth episode. If so then Dabb is pulling another Purgatory/Demon Dean timeline on us. Typical. Why would the real world lore be a problem? They’ve already explored a AU situation where Michael solution didn’t work out the way he wanted. Why would they care if it clashes with actual lore? You remember how godawful the demon Samhain was in “It’s the Great Pumpkin, Sam Winchester?” That’s because Samhain is a pagan Celtic festival about the thinness of the boundary between worlds, the end of summer, the coming of winter. It’s not a freakin’ demon. You can’t really have a character from folklore who represents the exact opposite that they do in folklore. That’s how you end up with sparkly vampires. I don’t mean a case like the film Maleficent or the novel Wicked, where the “villain”‘s background and motivations are sympathetically explored. I mean a case where the story completely contradicts what makes the character so well-known. The only difference between the SPNverse and the altSPNverse is that Sam and Dean were never born. One might argue that the Michael Sword was given such immense power because he was to be a mediating influence on Michael and a voice for humans, and that altMichael got bitter and lost his way without the Sword. But that doesn’t work when the show claims that Michael and altMichael are essentially the same personality, meaning that until he went into the Cage, “our” Michael wasn’t any different from alt-Michael in his personality and goals. Paula, I taped the episode because we were traveling on Thursday; I got the last 7m and THEN got pissed because at the end of the show they said ‘previews for next week’ and then showed a SUPERGIRL preview. I was so pissed. I checked on line if it was just the Holbrook Arizona viewing area and EVERYBODY responded, OH I thought it was just OUR viewing-area. I have dreaded watching it due to the sites “I” follow saying WHERE WAS JENSEN? but you gave me some hope that I might enjoy watching it. BTW the fact that a .05 rating is 2nd against the MUCH more publicized Riverdale (I also got pissed at how little press there was out there for SPN as opposed to practically ANY show on the CW) shows me that the show still has the legs. Yeah, they didn’t show the preview. You can find a link to it at the bottom of the recap. A 0.5 is fine when All American and Dynasty got 0.2s and Crazy Ex Girlfriend got a 0.1. And The Flash only managed a 0.8. It’s gonna be a low year for the CW. Scary thing is that everyone else is catching down to the CW. I saw a lot of people in transports of joy (or rage) over how “easily” Sam replaced Dean as the leader of TFW:TEP, but to be honest, I thought the episode did a pretty darned good job (however inadvertently) of showing that Sam is good at a lot of things, but being a wartime leader ain’t one of them. I didn’t perceive Kip as fanboying Sam so much as trying to use flattery to try to manipulate Sam into doing what he wanted. After all, that has been a tried and true technique in the past. As far as failing to question Kip about Michael, I kind of thought he intended to but things got away from him once Jack and Maggie were discovered. I also think he hasn’t fully grasped the threat of Michael to the world, but is focusing on saving Dean, even though to find one is to find the other. 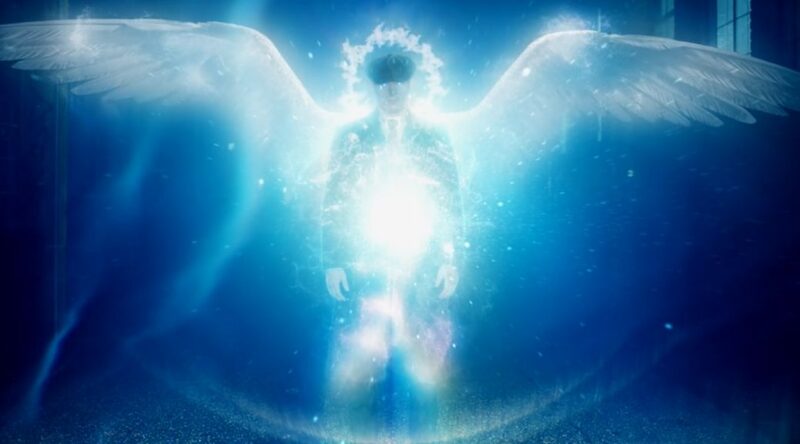 Interesting to see how angels appear to each other. I would have liked to have seen Dean though. Yeah, I think Kip was just schmoozing Sam until it was obvious it didn’t work. At one point, Kip insists that he doesn’t fear Sam, but the others do, so he’s doing this to keep them in line. Yeah, whatever, Kip. See ya. Taking Maggie with him, even suggesting it, was a sign, I thought, that Sam wasn’t the leader he initially appeared to be. Sam doesn’t really seem to understand what a threat alt-Michael is, but surely, everyone from that side of the rift would be filling him in and insisting he do something sooner than later. Paula, I know you are an experienced writer. What do you think about Dabb spending most of the episode on Kip and Sam? From the spoilers it had sounded like the episode would focus on the big search for Dean. We saw that Sam and Cas were worried. But other than them and Ketch, no one seemed to be looking. They were all busy doing other things. Not to mention how we barely got to see Michael himself. I just can’t figure out why Dabb would start off the season on something that only peripherally tied into the Michael storyline. It’s hard to say. If I were optimistic, I would say that Sam’s over-focus on the little things and missing the big things was an intentional plot point. Thing is, this writer (Andrew Dabb) is fairly notorious for wasting time in season finales and premieres on mini-Hunts while the Big Picture grinds on in the background. Remember that stupid werewolf hunt at the beginning of last season’s finale? Like that. So, it’s hard to say whether we’re seeing Sam’s intentionally plotted tunnel vision or the writer’s. Thanks for the recap, Paula. Honestly, Jensen’s 7 minute performance was the only thing that saved this episode from being my least favorite season premiere. While I liked certain aspects, the bad far outranked the good for me. So, so many WTF? moments. And could Dabb’s Sam pimping be any more absurd? Red Meat was bad enough – now we have demons fanboying Sam. Who knows, maybe Dabb plans to resurrect Sam’s boyking storyline. That could be the reason they set the scene in Detroit. Loved Jensen’s Michael. He was menacing and so tightly controlled, like he was holding enormous power in check. I can’t wait to see the character fleshed out more next week. The funny thing was that Sam did absolutely nothing to advance his quest to find Dean in this episode. He didn’t even try to question Kip about Michael–the whole reason Castiel had gone there in the first place. And in the process, he missed the jet plane noise of an enormous clue sailing right overhead. And unfortunately, that’s actually not out-of-character for him. As I said in the recap, Dean is by no means perfect, and would be a terribly boring character if he were, but I don’t think Dean would make that kind of mistake for longer than the two minutes some writer wanted to make him Plot Stupid. Dean has always been an excellent interrogator. I just couldn’t help thinking that entire bar scene would have been totally different if Dean had been there.